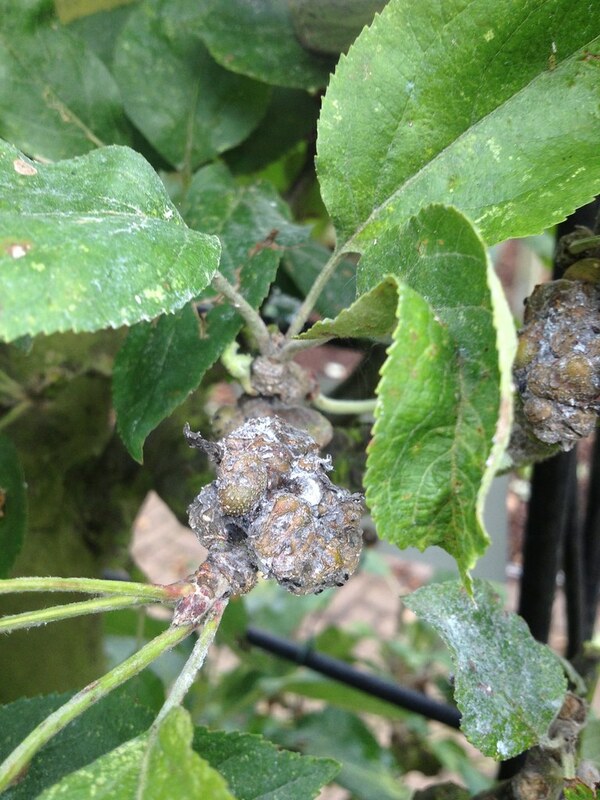 This has been an unusual summer, dry and warm and apples and pears have not started growing until very recently, that is why summer pruning had not been done before in the fruit garden. But as it's now October, and the new shoots have stiffened at their tips (previously sappy growth), it was finally time to prune them back. 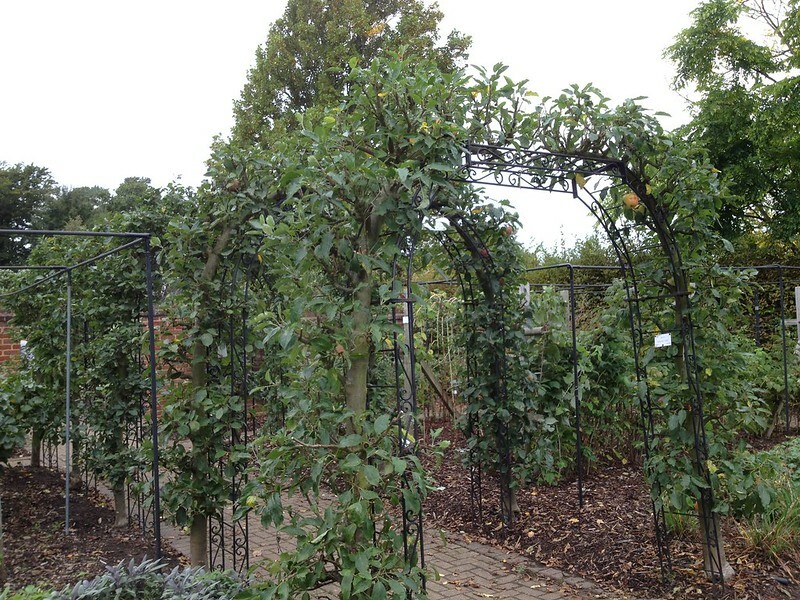 We worked on apples trained on arches, oblique cordon apple and pears and some stepover apples. 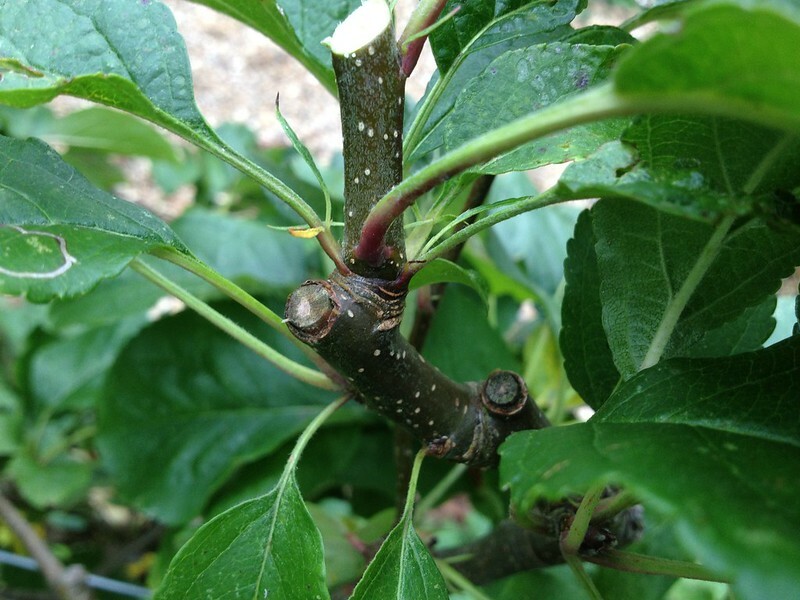 sub-laterals (or fruiting spurs) were cut back to 1 leaf above the basal cluster, to keep the tree compact and tidy (some pears had rather thin sub-laterals, which we treated like laterals to encourage thickening). to have decorative and compact, as well as productive fruit trees. 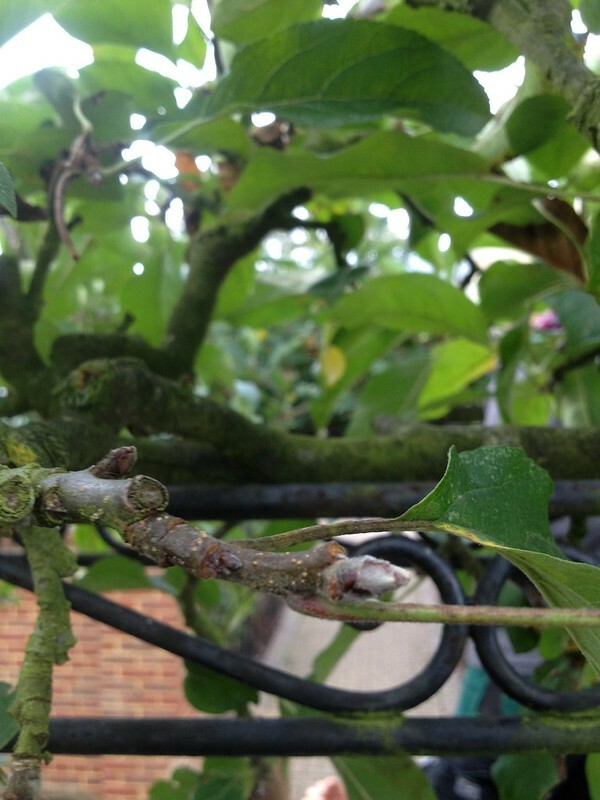 While summer pruning restricts growth, winter pruning encourages it: some of these tree will need some over winter, to bring back laterals that have grown too unwieldy and encourage new growth to keep plants productive and to remove damaged stems (like the ones in the picture below, damaged by stem sap-suckers woolly aphid, Eriosoma lanigerum - incidentally, earwigs, Forficula auricularia, are natural predators of the aphids and encouraged in the orchard).